We woke up refreshed on our third day of the trek. 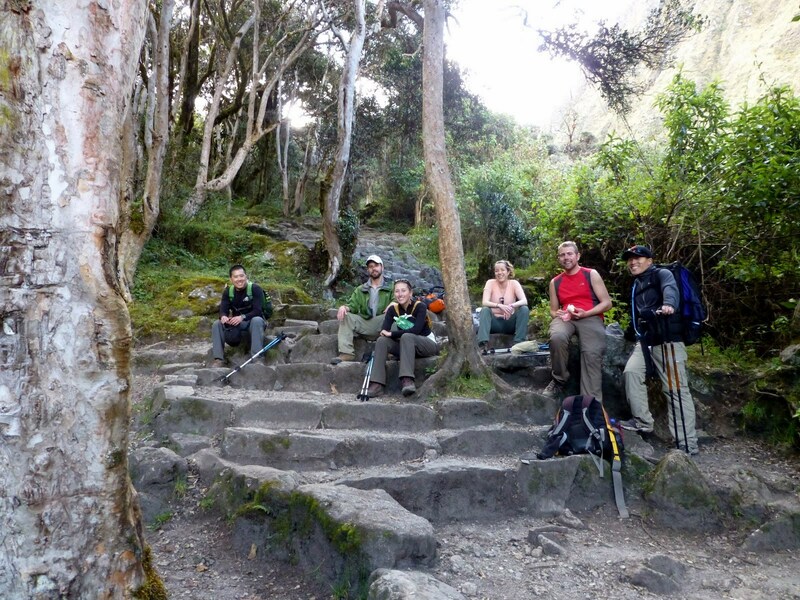 We camped at the junction of the Salkantay trail and the tradionally hiked stone Inca trail in Wuayllabamba. 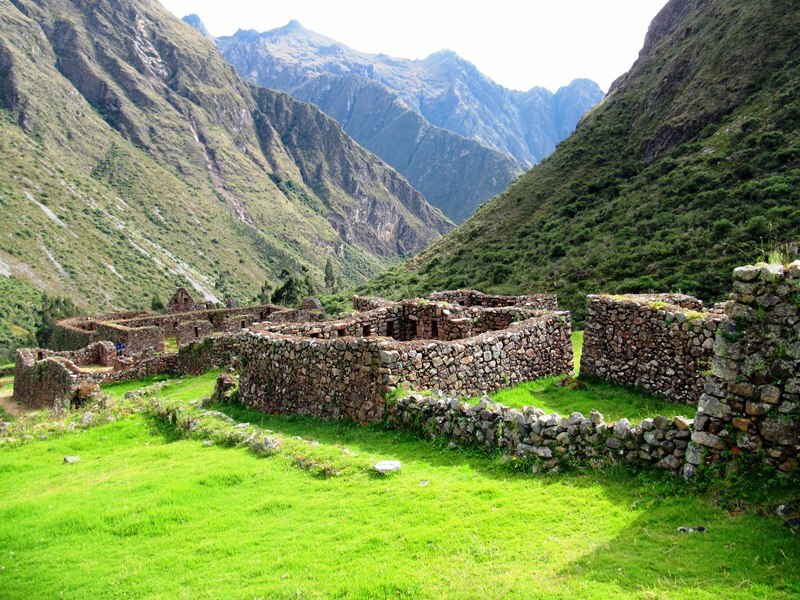 The village was originally an important strategic settlement of the Inca due to the junction of three valleys. 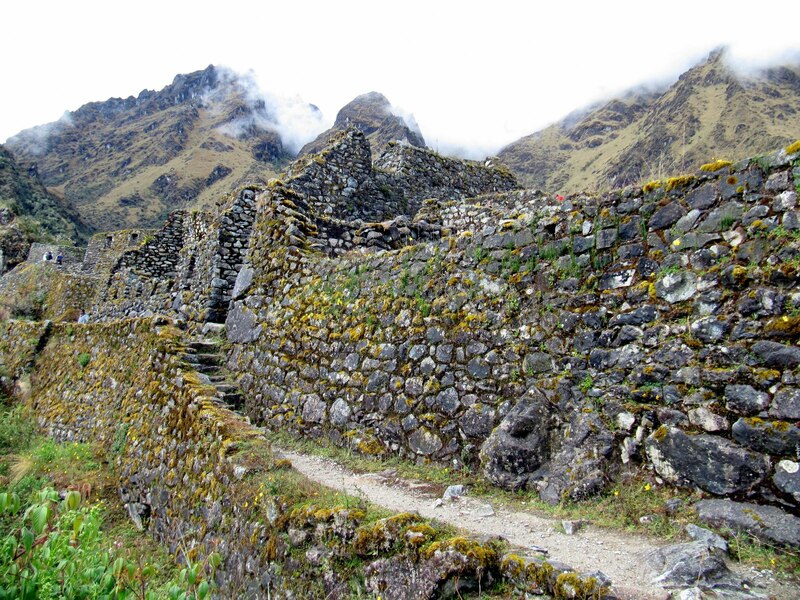 The sun began to crest over the mountains and we explored the first set of ruins on the Inca trail. At 9,900ft (3,000m) the climate was still very humid and warm. 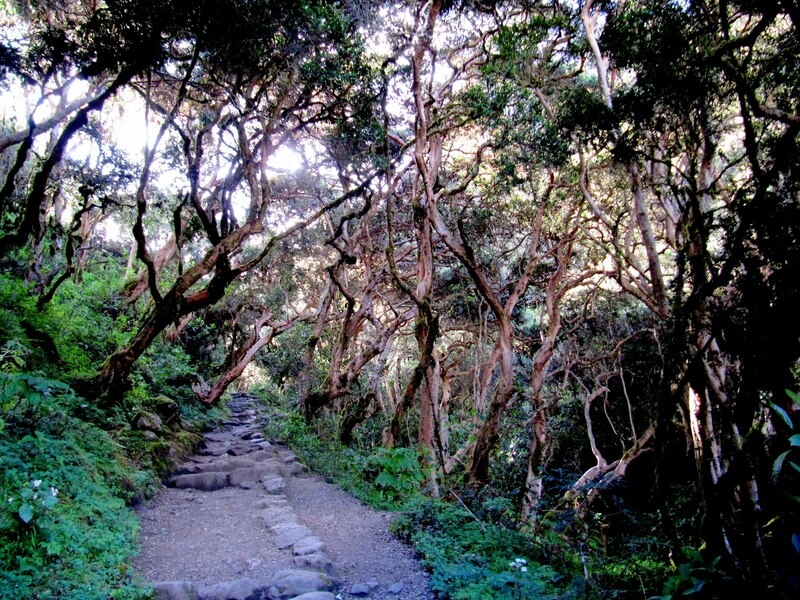 The trail was engulfed within a jungle of vines, trees and grasses. Once on the Inca trail our mules and handlers returned to the start of the Salkantay trail in Soraypampa. 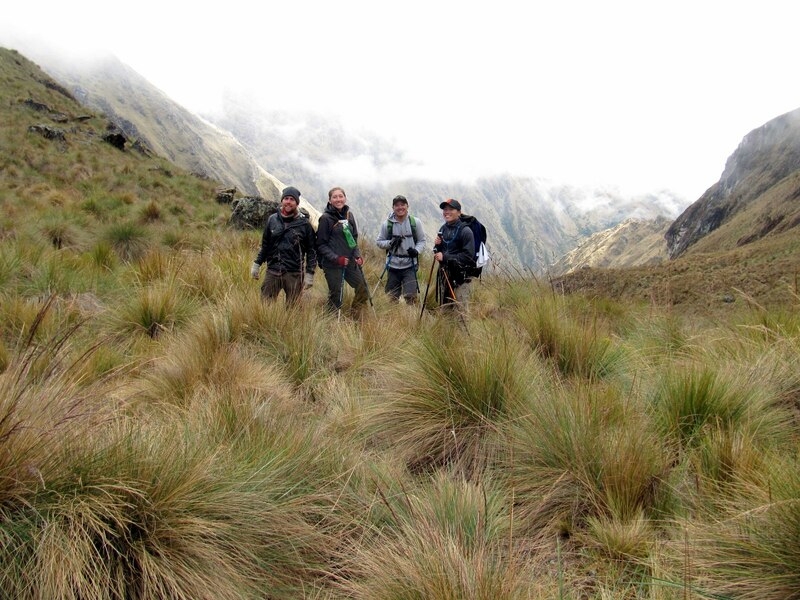 Our gear was to be carried by a group of porters that all came from one of the small villages along the Inca trail. This group of guys was more or less a small army. Nine men joined our two chefs and together the eleven of them carried all of our tents and dining materials. They could climb the steep inclines with amazing power then run down the hills with surprising agility. Our hike that third day was delayed for some permitting issues as our guide worked to get us a better camping location along the trail. It was then that a bee decided to sting me. I am allergic, so for the rest of the week my hand and arm were not pretty as they resembled a balloon more than an hand. I soaked my hand in the creek, but as the afternoon approached I needed to slip it through the strap of my hiking poles and start moving. The jungles were fantastic. 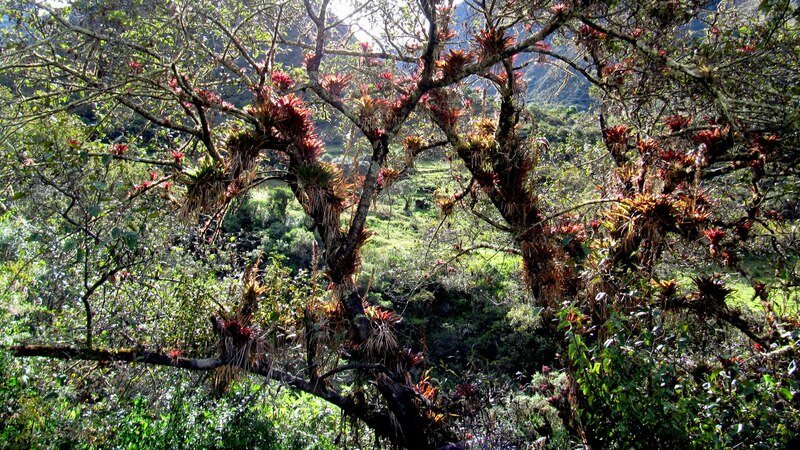 Bromiliads clung onto trees in every nook and crevice. Wild flowers surrounded us with pinks, purples and reds. My favorite was the bright yellow lady’s slipper flowers that abundantly filled the tall bushes along our walk. Our guide informed us of the traditional uses of the plants; the people of this area have been able to create medicines for headaches, sleeping, nausea, contraception and muscle pain for thousands of years. The stone path continued through forests of vines and trees. The thick canopy blocked out much of the sun. 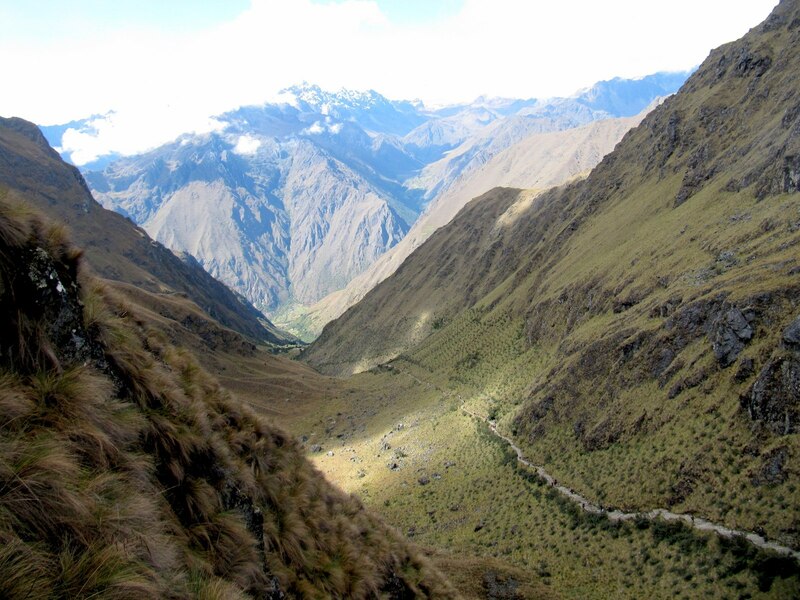 I was in constant admiration of the Inca who constructed this road 500 years ago that is still in such great condition. The frequent steps were carefully chiseled from local stone allowing us to walk through the rough terrain. We would walk for several hours at a time with breaks along the way. The porters would pack up the camp while we were hiking then later we would step aside as they ran passed us. Each lunch and dinner was taken at a separate beautiful location. 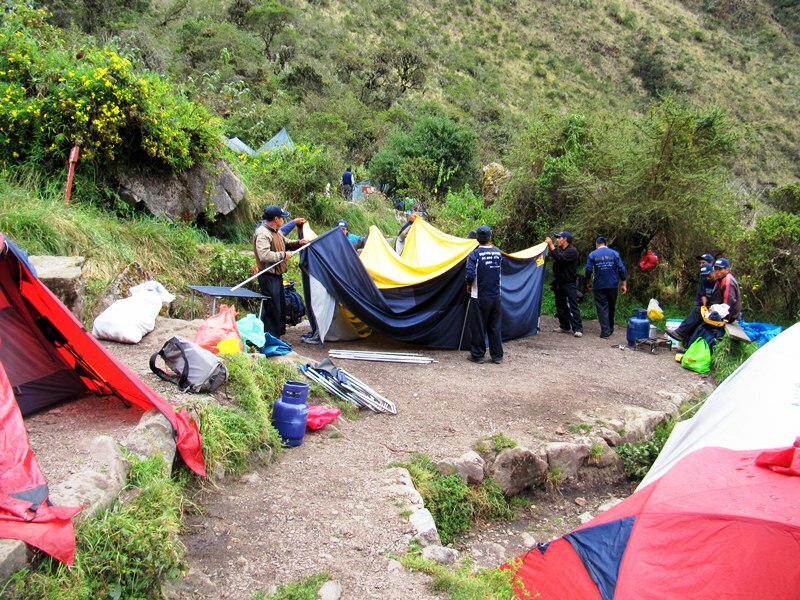 We would sleep with our tents nestled into beautiful green valleys with llamas pushing their way by our tents. 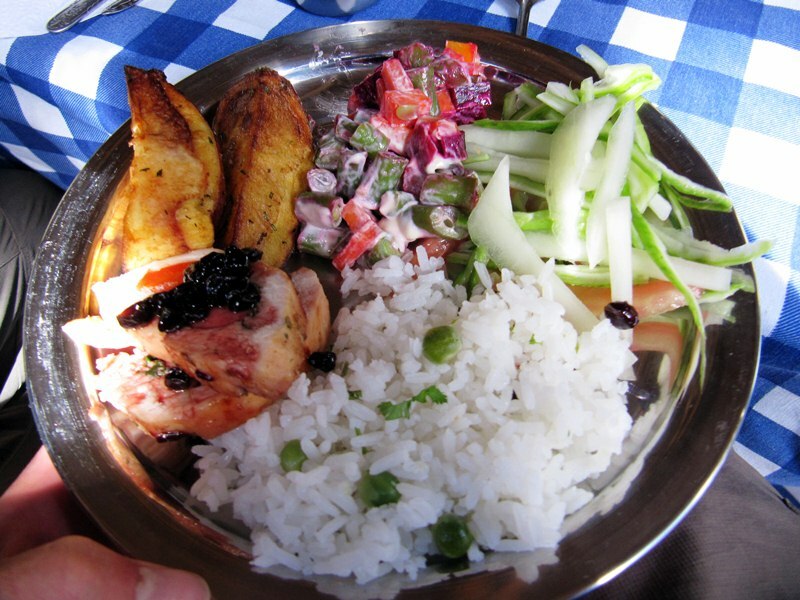 Our lunch locations held the promise of nearby ruins and with every meal we were satisfied with plentiful amounts of delicious Peruvian favorites. 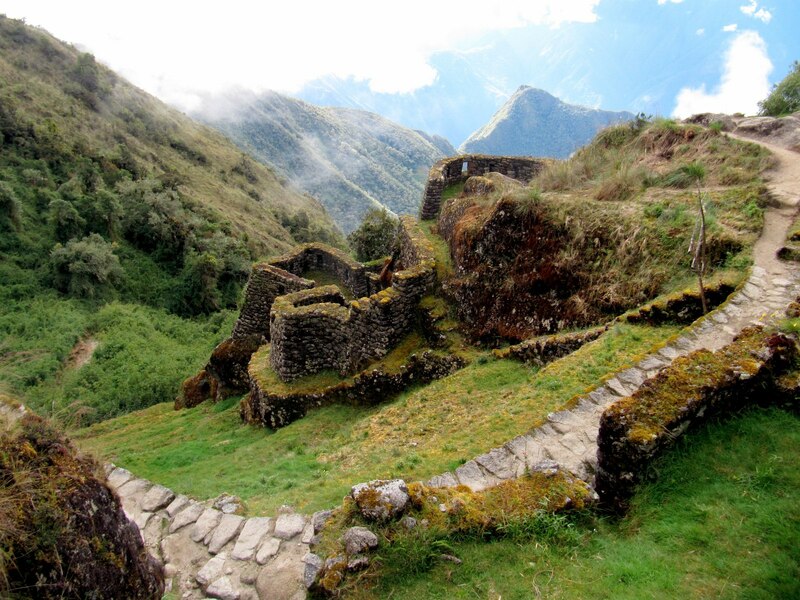 The Inca trail is filled with historic ruins. One of my favorites was Sayacmarca. This complex of rooms and small buildings clung onto the ridgeline and served as another checkpoint for people traveling between Cusco and Machu Picchu. 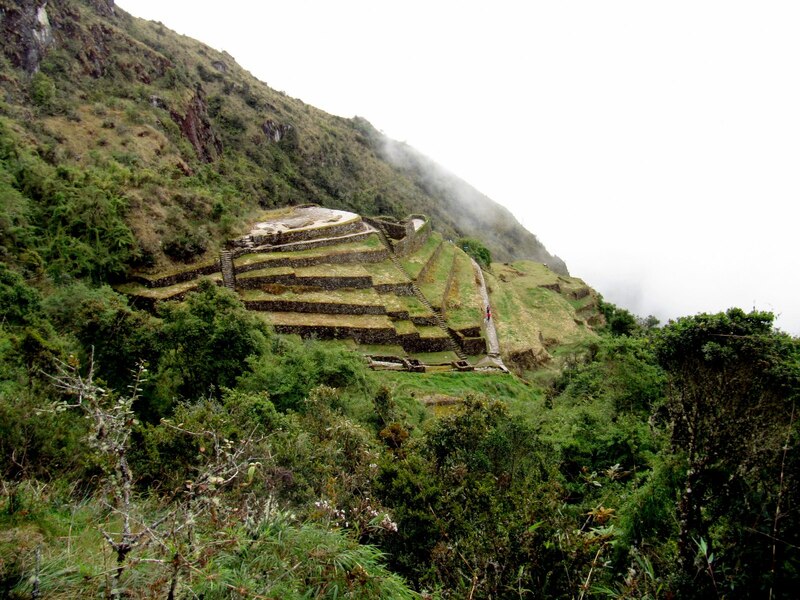 Immediately we are reminded of the remarkable construction and engineering knowledge that the Inca utilized. 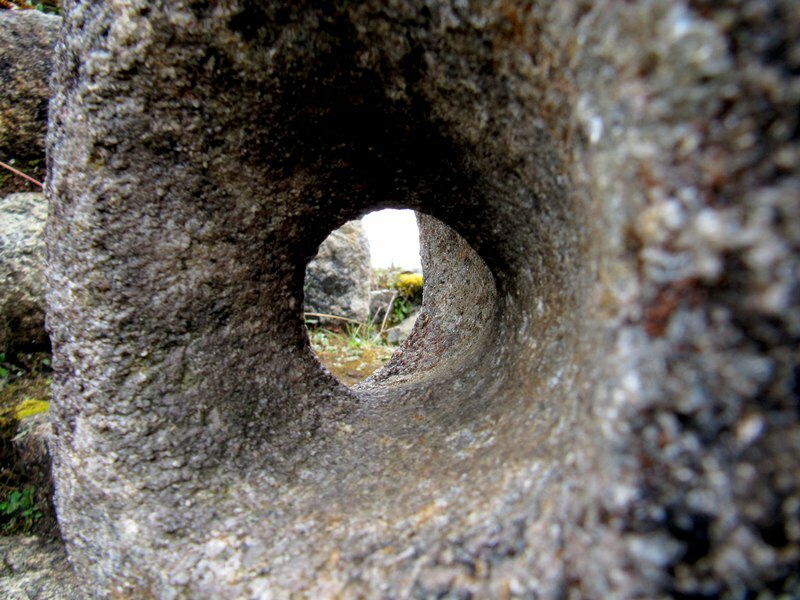 The carving and placement of the stones is precise and exact. Carefully carved channels direct and deliver spring water into basins for bathing. Fifteen-foot stone walls terrace the hillside with flying steps that allow for maximum agricultural production. 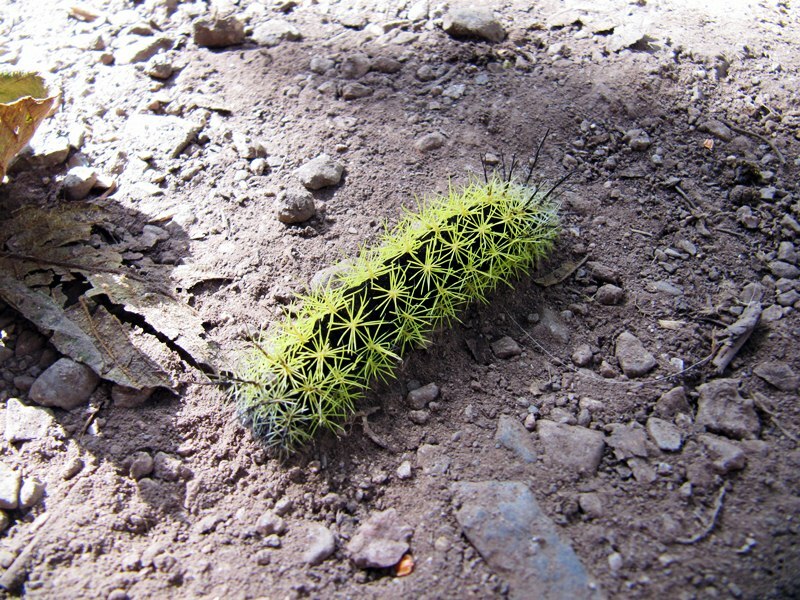 The trail was not just for tourists. Several llamas had also been using the pathway to transition to the higher elevations and cooler temperatures. They were pushy, but we were able to pass by them without incident. We crossed two mountain passes on our Inca trail hike: Warmihuñusca (13,900ft) and Runkurukay (13,800ft). It was a challenge to climb over these crests, but after five days of hiking we were ready as we’re ever going to be. Breathing hard with sweat dripping off my forehead it was easy to look back and admire the view. At the top of Runkurukay a natural lake, lago negra, sits gloomily on the cliffs edge. 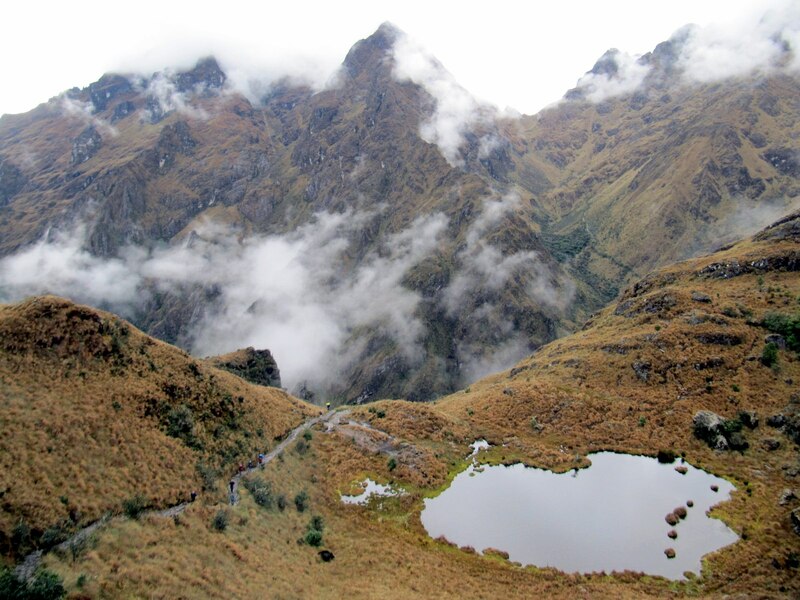 The fifth day included five more hours of hiking with the addition of exploring two Inca archeological sites. 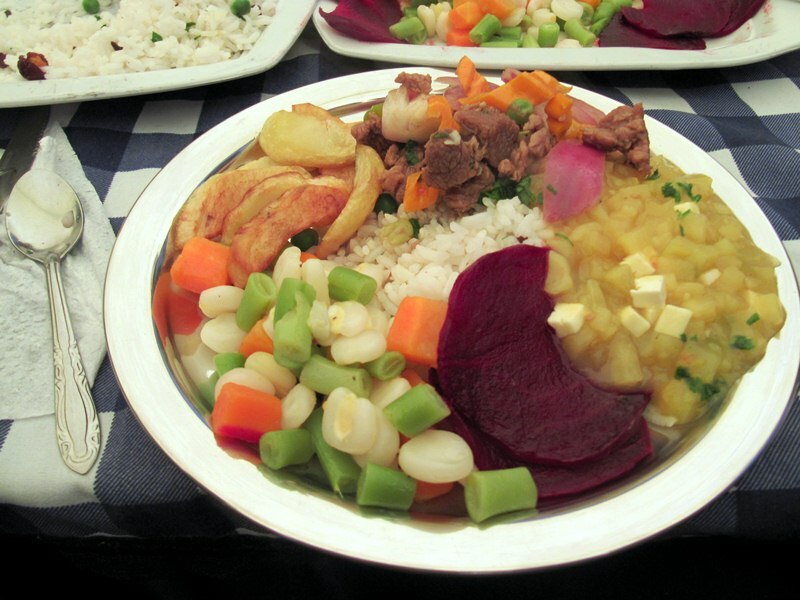 The first was Phuyupatamarca that overlooked the beautiful Urubampa river valley. The second ruins of the day were at Wiñaywayna. The complex mostly consisted of nearly a hundred terraces etched into the steep hillside. There were several small buildings and I was even able to find some gooseberries growing along the steps. We found llamas here too, but one in particular entertained us because it appeared deep in thought or meditation while viewing the scenery. 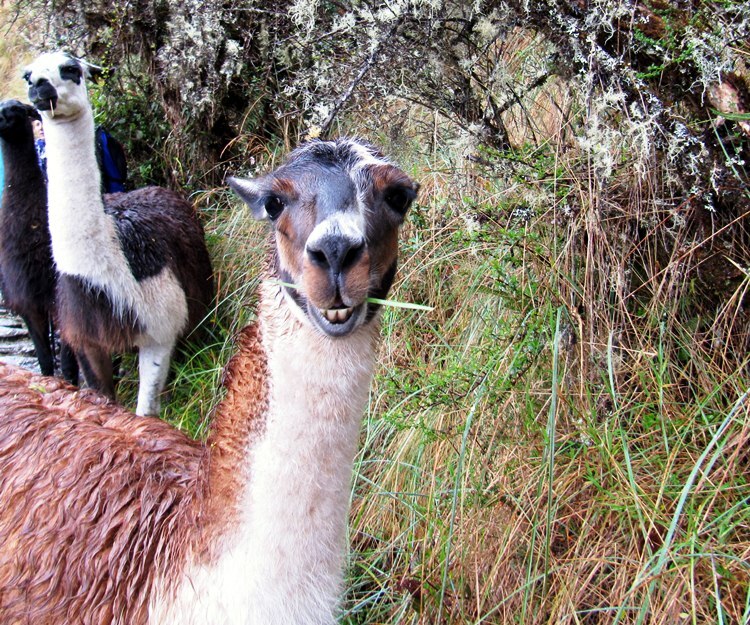 Happy to hear that you saw that llama too! The route we took started at Mollepata and at the southern base of Salkantay we went east. 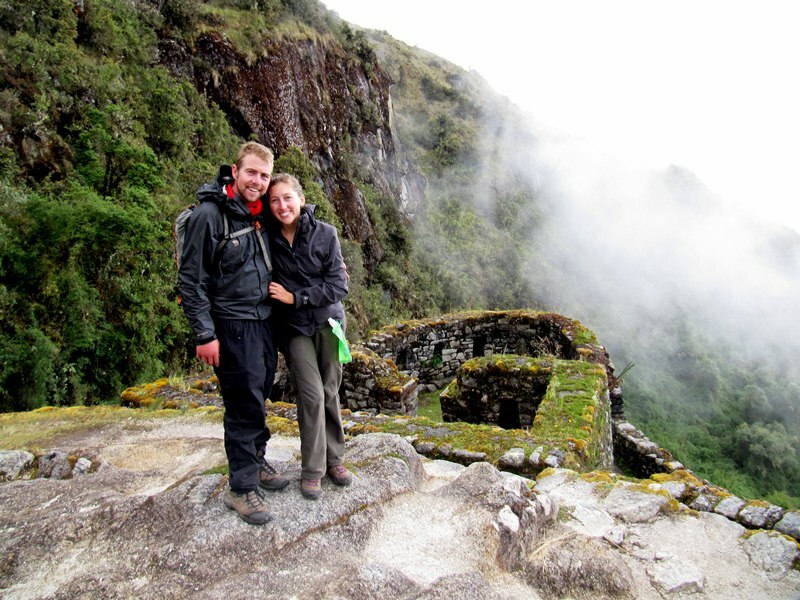 We joined the Inca trail at Wayllabamba then from there we did the traditional 4day trek.